This week, two separate incidents, both occurring in Rio de Janeiro, served as troubling reminders of the structural racism and class divides which still underpin Brazilian society. The first, far more severe, was the shocking news of the death of musician Evaldo dos Santos Rosa, murdered by Army soldiers in the north zone of Rio. Mr. Dos Santos, driving in a car and accompanied by his wife, father-in-law, child, and godson, was killed after members of a military patrol opened fire on the white Ford Ka, discharging at least 80 shots and killing the 51-year-old instantly. His father-in-law, Sérgio Gonçalves, was wounded, as was a passer-by. 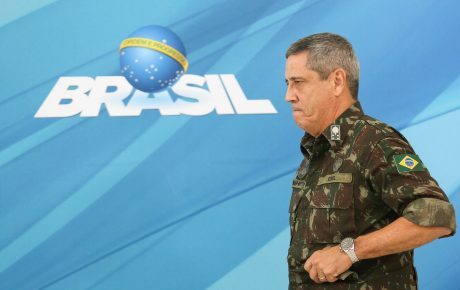 Statements given by Mr. Dos Santos’ widow, Luciana Oliveira, disputed the version initially reported by the Armed Forces. She said the family was on their way to a baby shower, and that the shooting began without warning. “There was no confrontation. We were singing then we heard a shattering [noise]. The blood spattered on me,” she told the press. According to Ms. Oliveira, the military men mocked the family after the shooting. Mr. Dos Santos was a black man from the poor northern zone of Rio de Janeiro. Known to his friends as “Manduca,” he was a musician and worked as a security guard. Locals at the scene of his murder believe the Army soldiers mistook his car for another vehicle, belonging to a criminal target. The second episode, while more subtle and quotidian, sparked similar outrage, especially on social media. It consisted of a video, shot in the upmarket Copacabana neighborhood, of an elderly woman being helped across the street during the intense floods that rocked Rio de Janeiro this week and left at least ten people dead. The elderly woman, white and well-dressed, receives the help of a black man wearing a cheap waterproof poncho. In order for the lady to remain dry and safely cross the road, the man uses two large plastic crates to fashion a form of raised walkway across the rushing water. Knee-deep in the flood, he puts one crate in front of the other and leads the elderly woman safely across to the other side, holding her hand the whole time. Once reaching her destination, the woman walks away, apparently without thanking or even acknowledging her Good Samaritan. The video was shared far and wide on social media, so much so that Rio-based national newspaper O Globo sought out the individuals involved in the video. The senior citizen, the 86-year-old Anúzio Corrêa, claimed she did thank the man, giving him four Brazilian reais (just over one U.S. dollar) for his troubles. The man in question was Varlei Rocha Alves, a 50-year old from the north zone of Rio, who works odd jobs in Copacabana and often sleeps on the street. Nicknamed “Capoeira,” he has a 10-year-old son and his wife was killed in a car crash five years ago. Both incidents cast a light on the realities of racial inequality in Brazil, which can sometimes be banal, but are often deadly. There were 5,012 police killings in the country in 2017, and 76 percent of the victims were, like Evaldo dos Santos and Varlei Rocha Alves, black males. “In recent decades, we have seen an increase in violence—barring significant decreases in São Paulo—and the victims of both gang violence and police violence are increasingly likely to be black,” Mr. Richmond told The Brazilian Report. One explanation he gives for this phenomenon is the expansion of criminal factions, which typically use “the poorest people from the poorest neighborhoods” on the frontline of their operations. In an unequal society such as Brazil, these disadvantaged individuals are overwhelmingly black. 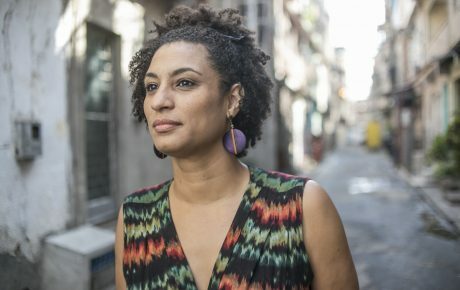 According to figures from the Brazilian Institute of Geography and Statistics (IBGE), of the poorest 10 percent of Brazil’s population, some three-quarters are “black or brown,” a category of ethnicity that accounts for roughly one half of Brazil and encapsulates all non-white, Asian or indigenous individuals. 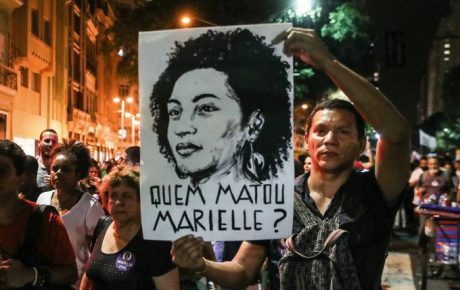 Varlei Rocha Alves’ case, on the other hand, speaks to a different manifestation of prejudice, but one that is deeply ingrained in Brazilian society. 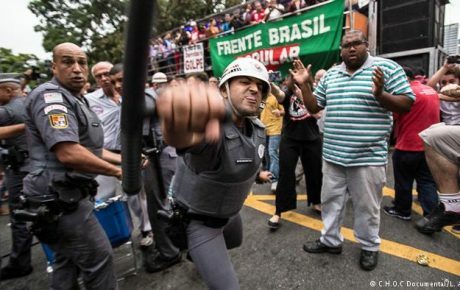 While the context of the events may have been lost by the video, the fact that the footage resonated so deeply with the lived experiences of many Brazilians is enough of a sign that these structural divisions exist and persist in the country. The newly elected Governor of Rio de Janeiro, former federal judge Wilson Witzel, claimed it was “not up to [him] to make a value judgment” on the case, but later described the incident as a “crass mistake” on behalf of the patrol members involved.